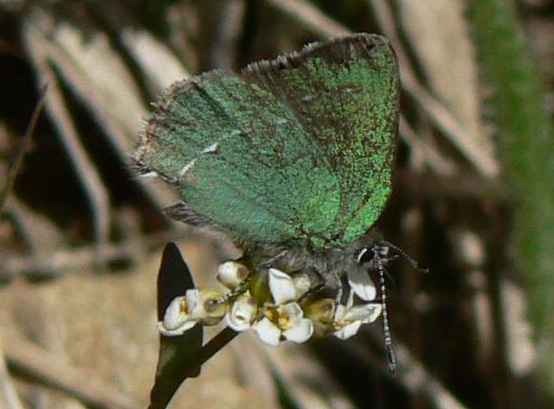 Sheridan's Green Hairstreak Butterfly; Callophrys sheridanii (state butterfly of Wyoming). Photo by Biodiversity Institute/Flickr (Noncommercial Use Permitted with Attribution/No Derivative Works). 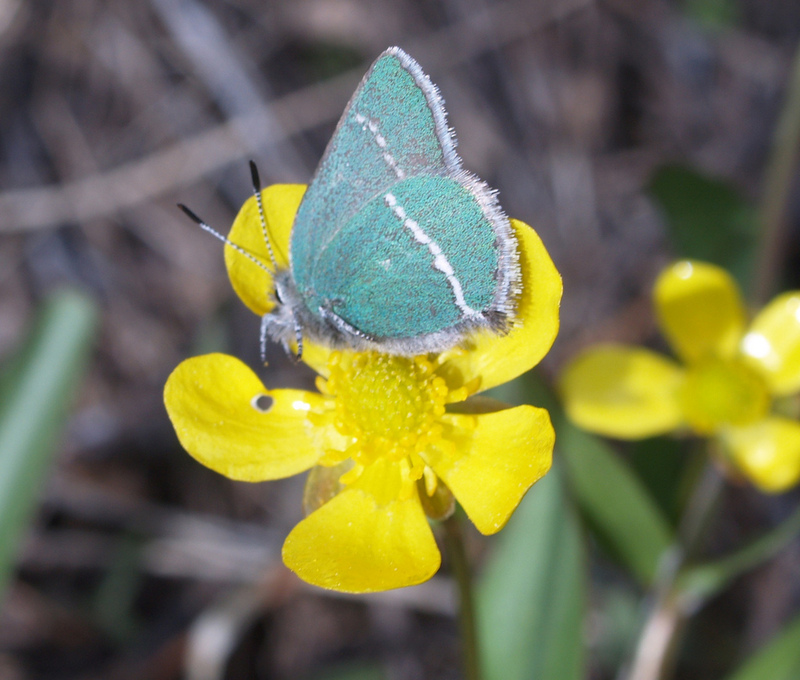 Found in Wyoming's mountains and foothills, Sheridan's green hairstreak is a symbol of spring arriving in Wyoming (it's the first butterfly to emerge from a chrysalis). Sheridans green hairstreak butterfly; photo by Walter Siegmund on Wikipedia (use permittted with attribution / share alike).